If motor oil is the lifeblood of an engine, then the oil pump is its heart. If your engine needs a transplant, the new S&S® three stage oil pumps are a great solution for worn out or destroyed stock units. Common causes of stock pump failure are debris and excessive pinion shaft run out. The new S&S oil pumps are much less likely to be damaged by either. Oh, and by the way, the new S&S® oil pumps pump and scavenge way more oil than stock. While you've got that motor apart, it would be a good time to install a new S&S® TC3 forged cam support plate.FITMENT: 1999-'06 HD® big twin engines, 2007-'16 HD® big twin engines. FEATURES & BENEFITS: Three stages for consistent pressure and reliable scavenging. Separate scavenge sections for flywheel cavity and cam chest- no interference. Screens and magnetic traps help protect the scavenge rotors from debris. 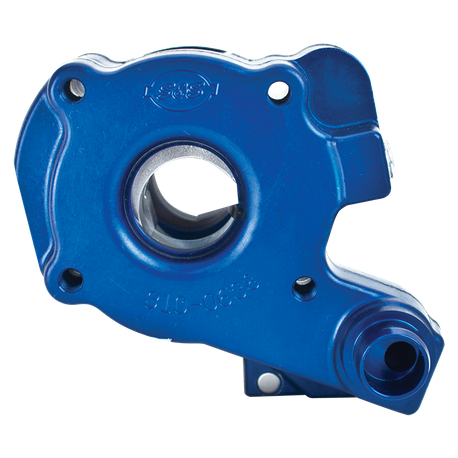 Special design allows S&S® pumps to tolerate more pinion shaft run out without damage. Made in the USA! S&S® oil pumps for 1999-'06 are not compatible with S&S® cam support plates for 1999-'06 engines. 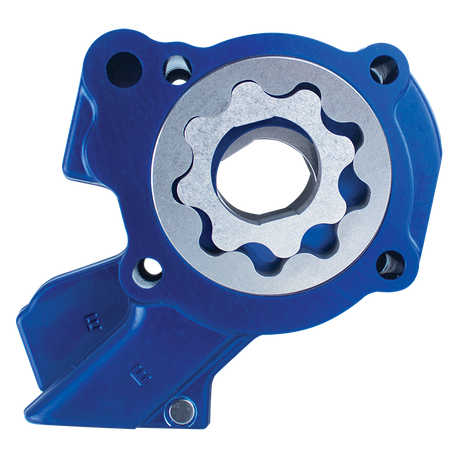 All S&S® cam support plates are machined for 2007-later style oil pumps. *S&S oil pumps for 1999-'06 are not compatible with S&S cam support plates for 1999-’06 engines. All S&S cam support plates are machined for 2007-later style oil pumps.